Summary: A fiction debut that will leave you wanting seconds, from an award-winning cookbook author. Summary: Colorful, flavorful home-baked treats just say “happy,” and Bake Happy is all about adding a bit of joy back into your kitchen. 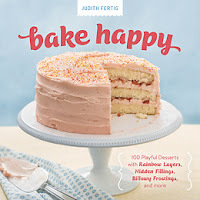 A sweet baking book that will bring a smile to the dessert table, Bake Happy includes 100 recipes for cheerful cupcakes and cookies, bars and brownies, tarts and turnovers, and delicious cakes that are speckled, marbled, and striped. 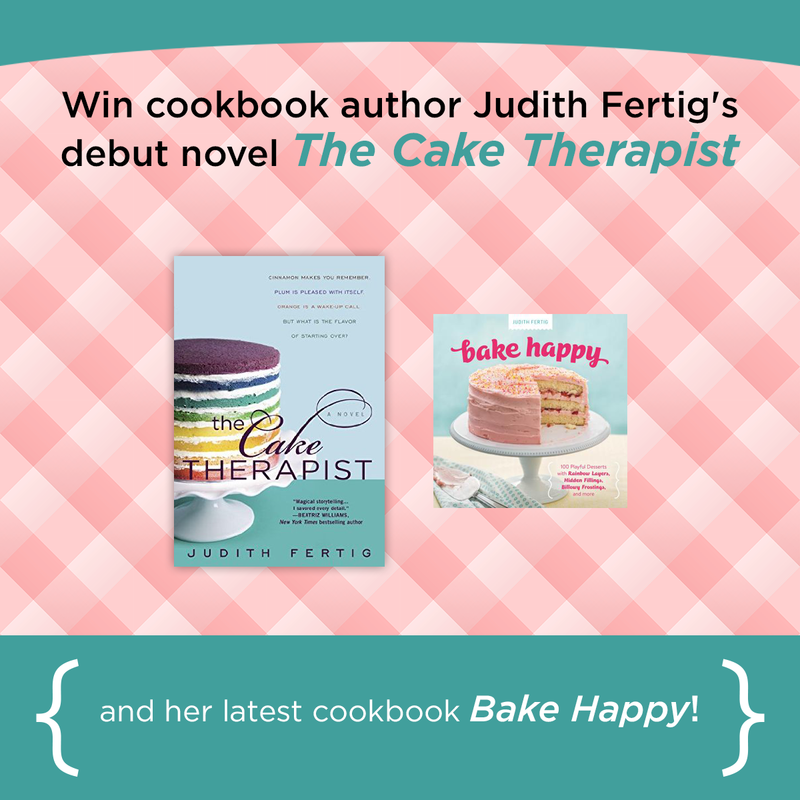 THE CAKE THERAPIST and BAKE HAPPY by Judith Fertig. Could these covers be any more beautiful? 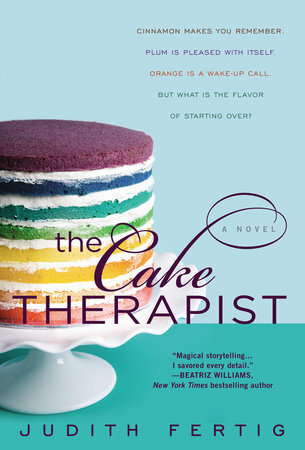 I am heading to the Outer Banks tomorrow and THE CAKE THERAPIST is already packed! I can't wait to read it. It tells the story of a pastry chef who can "taste" feelings. And BAKE HAPPY looks positively terrific. There are 100 recipes for all types of baked goods including cupcakes, cakes, tarts, and brownies. Based on the cover, I bet the photographs of these goodies are beautiful too! To enter, just fill out the form below before June 25th at 11:59 p.m. EST. I will randomly select and notify the winner the following day. This contest is open to those of you with U.S. addresses only. Good luck! Thanks for finding such cute book plots and offering them to us! I love to read about food! BTW, this book has such an adorable cover - a real eye-catcher. 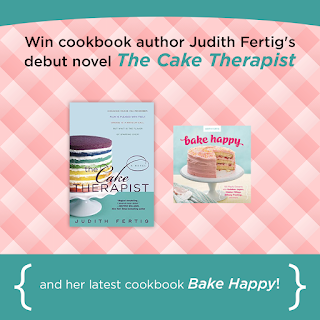 What an awesomely yummy giveaway! Thanks for the chance to win! !